Please click on the logos, below, to link to their respective websites. Click Here for our Birthday Party Flyer! Noreen Londregan School of Dance has been offering the best in dance techniques for over 50 years. Students come to this outstanding studio in Mayfield Village to pursue their interest in dance. Many students enjoy dancing as a recreational opportunity to build skills and improve self-confidence while having fun and creating a healthy body. Others are serious dancers who find a well-rounded program that creates the “total dancer” who can pursue a professional career, if so desired. Former students have performed in ballet companies, cruise lines and musical theater companies as well as in the field of dance therapy. Our facility has three dance rooms with marley and wood flooring designed to minimize impact on a dancer’s body. A spacious waiting room allows parents and siblings to stay for the duration of the class, if so desired. The rooms have viewing windows in order to watch the progress of the class. Beginning students are placed in class by age whenever possible. Advanced beginners, intermediate and advanced students are placed by ability and advancement with consideration given to age. 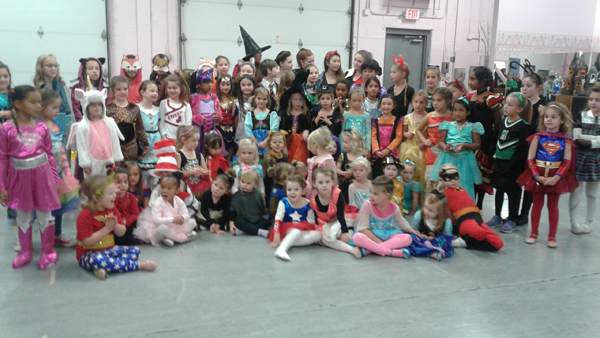 The dance studio is easily accessible from all directions via I-271. Click on the “Map and Directions“ link in the Director’s Chair section. Please browse through our site to learn more about our classes, instructors and events or contact us with any questions or comments. Don’t forget to check out our photo gallery for some pictures of our students and events.